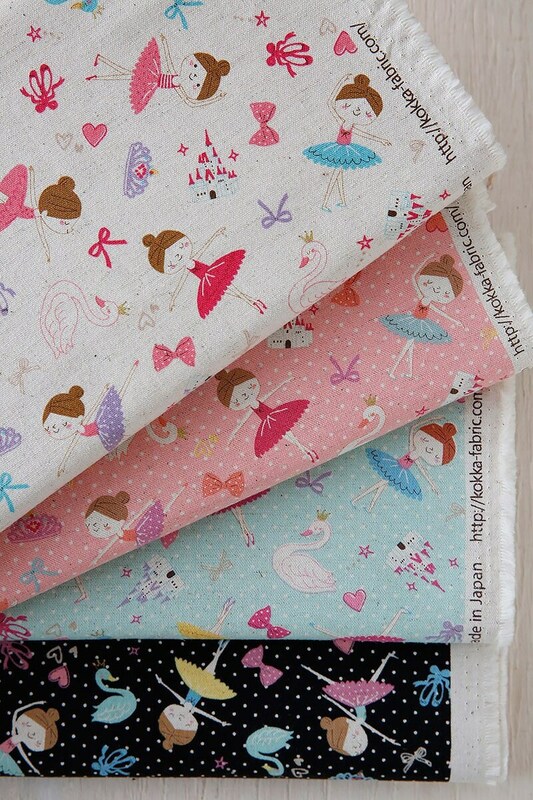 Cotton linen fabric by Kokka Japan. Featuring dance poses inspired from the ballet "Swan Lake". 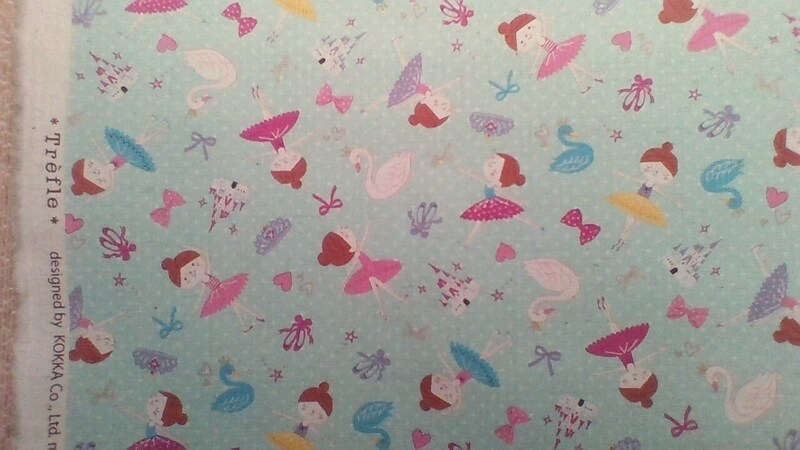 Allover motifs of ballerinas, swans, castles, tiaras, ballet slippers and ribbon bows. Bluish teal background with tiny cream dots. Sold by the half yard (18" x 43": metric: 46x110 cm). When you order multiple units, we will send one continuous length. Contact us if you would like to buy additional yardage.